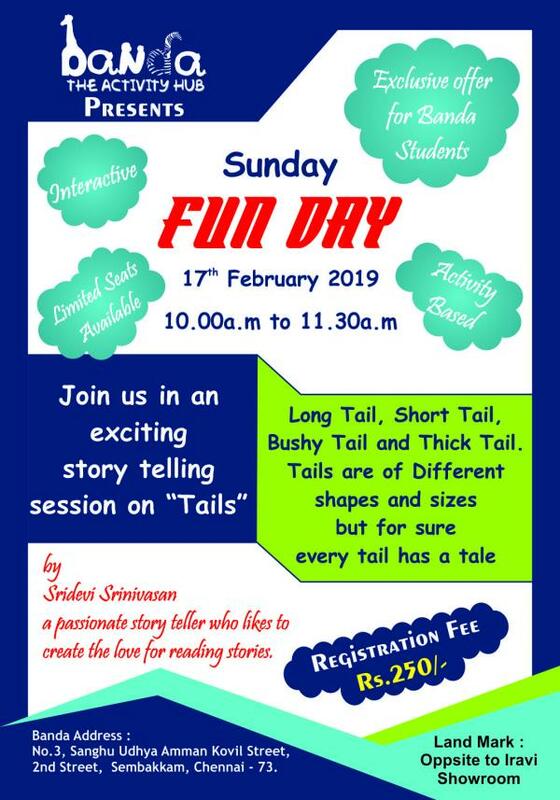 There will be an interactive story telling session on Sunday the 17th of February at BANDA – THE ACTIVITY HUB, between 10.00 am and 11.30 am. The session will be fun filled with the topic `TAILS’. The session is conducted bu Professional story teller Ms. Ssridevi Srinivasan. Fees : Rs.250/- per kid. Age group : 3 and above.